Washington, DC – U.S. Energy Secretary Steven Chu announced today that the Department of Energy will provide up to $30 billion in loan guarantees, depending on the applications and market conditions, for renewable energy projects. Another $750 million will support several billion dollars more in loan guarantees for projects that increase the reliability, efficiency and security of the nation’s transmission system. The two new loan guarantee solicitations announced today are being funded partly through the Recovery Act and partly through 2009 appropriations. - Up to $8.5 billion in lending authority supported by 2009 annual appropriations for renewable energy. - Up to $2 billion in subsidy costs, provided by the Recovery Act, to support billions in loans for renewable energy and electric power transmission projects. - Up to $500 million in subsidy costs to support loans for cutting edge biofuel projects funded by the Recovery Act. - Up to $750 million in subsidy costs, provided by the Recovery Act, to support loans for large transmission infrastructure projects in the U.S. that use commercial technologies and begin construction by September 30, 2011. The two solicitations issued today mark the sixth and seventh rounds of solicitations by the Department’s Loan Guarantee Program, which encourages the commercial use of new or improved energy technologies to help foster clean energy projects. Applications will be accepted over the next 45 days. The Department has streamlined its processes to accelerate these new loan solicitations. By investing in both renewable energy technology for generating electricity and technologies to modernize the country's transmission system, the Recovery Act targets the full integration of renewable energy sources onto the electric grid. Read more information on this solicitation and the Department’s Loan Guarantee Program. Additional loan guarantee solicitations funded by the Recovery Act will be announced soon. 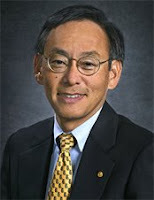 US Department of Energy Secretary Steven Chu announced the investment of up to $11.8 million – $5 million from the American Recovery and Reinvestment Act – for five projects designed to advance the next stage of development of solar energy grid integration systems (SEGIS). The selections announced today are part of DOE’s continuing work to help assure the nation’s electrical grid reliability is maintained and improved as solar energy technologies reach cost competitiveness and increased levels of integration with the grid. Initiated in 2008, the SEGIS activity is a partnership that includes DOE, Sandia National Laboratories, industry, utilities, and universities and emphasizes complete system development. The selected projects focus on the most promising technology advances and include development of intelligent system controls. These projects ultimately seek to maintain or improve power quality and reliability, as well as return economic value, while increasing integration of solar technologies into the U.S. electrical grid. - PVPowered of Bend, OR: PVPowered will partner with Portland General Electric (Portland, OR), South Dakota State University (Brookings, SD), and Northern Plains Power Technologies (Brookings, SD), Schweitzer Engineering Laboratories (Pullman, WA), SENSUS (Raleigh, NC). The project will reinforce the fundamental objectives of the SEGIS program to optimize interconnections across the full range of emerging PV module technologies through innovative systems integration. - Petra Solar of South Plainfield, NJ: Petra Solar will work with the University of Central Florida (Orlando, FL) and Fifteen Electric Utilities with service in NJ, PA, OH, DE, MD, DC, FL, TX: This project complements the mission of the Solar Program to achieve the widespread adoption of solar energies. It supports improving reliability and resiliency so that high levels of PV integration can be adapted. - Princeton Power of Princeton, NJ: Princeton Power will work with Transistor Device Inc (TDI), LaGuardia Community College (New York, NY), Idyllwild Municipal Water District (San Diego, CA), National Oceanographic and Atmospheric Administration (Princeton, NJ), Princeton Plasma Physics Laboratory (Princeton, NJ), Premier Power, SPG Solar (Novato, CA), and Spire (Bedford, MA). This project focuses on lowering manufacturing costs through integrated controls for energy storage and develops new inverter designs. - Apollo Solar of Bethel, CT: Apollo Solar will work in collaboration with Saft Batteries (Valdosta, GA), the Electric Power Research Institute (Knoxville, TN), and California Independent System Operator (Folsum, CA). This project creates innovative inverters using energy storage and two-way communications between solar electrical systems and utilities. - Florida Solar Energy Center/UCF: Florida Solar Energy Center will work with Satcon Technology Corporation (Boston, MA), SENTECH, Inc. (Bethesda, MD), SunEdison (Beltsville, MD), Cooper Power Systems EAS (Minneapolis, MN), Northern Plains Power Technologies (Brookings, SD) and Lakeland Electric Utilities (Lakeland, FL). This project focuses on solving technical challenges that must be overcome to include higher PV penetration levels in larger electrical systems. NEW YORK — July 29, 2009 — CPower (www.cpowered.com), a leading energy management firm, today announced an infusion of funding from Intel Capital, Intel's global investment organization. This investment, Intel’s first in CPower, is part of Intel’s Open Energy Initiative, which is dedicated to fueling the development of the clean energy industry. This latest investment is an extension of CPower’s $10.68 million Series B round of financing, which closed in April 2009 and was led by Mayfield Fund, as well as Bessemer Venture Partners, Expansion Capital Partners, Schneider Electric Ventures, New York City Investment Fund and Consensus Business Group. Since its inception, CPower has become one of the largest energy management and demand response providers in North America and a thought leader in developing new energy reduction markets and opportunities for its clients and partners. The company offers a range of energy management programs including demand response capacity, reserves and regulation, energy efficiency, peak load management and white certificates. Recently, CPower expanded across North America into California, the Mid-Atlantic region, Texas and Ontario, and is positioned to pursue additional regions in the coming year. In addition, CPower has broadened its client base throughout the industrial, commercial, retail and institutional sectors with new client partnerships including Wal-Mart, Sears Holdings Corporation, Kmart, Marcal Manufacturing, LaFarge North America, Long Trail Brewing Co., National Envelope, Passaic Rubber, Ramapo College, Vitamin Shoppe, and Western Container. McKinsey & Company offers a detailed analysis of the magnitude of the efficiency potential in non-transportation uses of energy, a thorough assessment of the barriers that impede the capture of greater efficiency, and an outline of the practical solutions available to unlock the potential. The research shows that the U.S. economy has the potential to reduce annual non-transportation energy consumption by roughly 23 percent by 2020, eliminating more than $1.2 trillion in waste – well beyond the $520 billion upfront investment (not including program costs) that would be required. The reduction in energy use would also result in the abatement of 1.1 gigatons of greenhouse gas emissions annually – the equivalent of taking the entire U.S. fleet of passenger vehicles and light trucks off the roads. In addition to the above central conclusion, five observations will be relevant to a national debate about how best to pursue energy efficiency opportunities of the magnitude identified and within the timeframe considered in this report. - Foster innovation in the development and deployment of next-generation energy efficiency technologies to ensure ongoing productivity gains. Beginning on 28 July 2009, BBC World News will broadcast the second series of its occasional HARDtalk on the road strand. This time, HARDtalk visits Greenland to uncover how climate change is affecting the country, with a mix of hard-hitting interviews and on the road reportage. Presenter Stephen Sackur travels to Ilulissat, inside the Arctic Circle on Greenland's west coast, to the northern hemisphere's fastest collapsing glacier. Approximately 30 of the world's environment & climate change ministers, who were gathered in the town for private talks, also viewed this dramatic spectacle. Sackur questions Connie Hedegaard, Denmark's Minister for Climate and Energy, on the deal she is brokering ahead of the United Nations Climate Change Conference in Copenhagen, December 2009. To discuss the roles and responsibilities of the industrialised and developing worlds, Sackur goes on to interview Penny Wong, Australia's Minister for Climate Change and Shyam Saran, India's envoy on climate change. Later, HARDtalk meets a chef who grows his own potatoes and vegetables inside the Arctic Circle adding welcome variations to the traditional dishes of muskox, reindeer and fish. HARDtalk then travels by boat to a remote fjord to meet a team of geologists prospecting for gold. 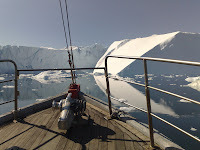 Global warming means that the exploration of oil, gas and minerals in Greenland is on the increase. As part of the third programme, Sackur talks to Greenland's new Prime Minister Kuupik Kleist on the challenges ahead. SolarCity® today announced the availability of its award-winning solar leasing option (SolarLease™) to customers of Los Angeles Department of Water and Power (LADWP), the nation’s largest municipal utility. SolarCity’s lease combines with LADWP’s generous solar rebates, among the highest of any U.S. utility, to make solar power as affordable for Los Angeles homeowners as anywhere in the nation. A SolarCity solar lease of a 4-kilowatt solar system, appropriate for a typical 3-bedroom home in Los Angeles, would start at $55 per month, with no money down, on approved credit. SolarCity’s solar leasing option for LADWP customers is a 20-year lease with fixed monthly payments for the life of the lease, so savings increase over time if electricity rates rise. The first month’s payment is due when the system is turned on. SolarCity’s lease option includes financing, design, installation, a performance guarantee, the company’s Web-based SolarGuard™ monitoring service, and repair service. SunRun, the leading provider of home solar power, today announced it closed a Series B round of funding for $18 million led by Accel Partners and joined by existing investor, Foundation Capital. SunRun plans to use the funding to meet strong demand for its popular residential solar service, expand into new markets and build on the Company's recent successes. The Company has experienced rapid growth since its founding in early 2007, marked by expansions outside of its initial California market into Massachusetts and Arizona in early 2009, and has achieved 300 percent growth this calendar year alone. This funding round follows U.S. Bancorp's commitment in November 2008 for project financing for up to $105 million in solar facilities and a $12 million Series A financing round led by Foundation Capital in June 2008. Rich Wong from Accel Partners will join SunRun's Edward Fenster and Lynn Jurich, Charles Moldow from Foundation Capital and David Buzby, also Chairman of SunEdison, on the Company's Board of Directors. SunRun makes it affordable and turnkey for homeowners to switch to solar power by delivering immediate savings on utility bills with minimal start-up cost. For as little as $1,000 down, SunRun will arrange to purchase customized home solar equipment from an authorized local solar contractor and then sell the solar electricity at a fixed, discounted rate lower than the homeowner's current electricity bill. Over time, as utility rates increase, the homeowner accumulates significant savings. "Getting solar is one of the most important things homeowners can do to make a positive impact on their local environment and monthly expenses," said Edward Fenster, CEO of SunRun. "Most people don't have $30,000 to spend on solar equipment and don't want to worry about taking care of a $50,000 asset. SunRun makes solar a reality for people who wouldn't otherwise have considered it, and we're finally at the point where it makes financial sense as well as environmental sense for a majority of homes." CEO Edward Fenster and President Lynn Jurich started SunRun as classmates at Stanford's Graduate School of Business with the mission of making renewable energy both affordable and economically viable. The Company's first system was on the roof of Fenster's home in San Francisco, and today SunRun provides solar electricity to more than a thousand customers. The Company's unique approach includes partnering with locally-based solar companies that help generate local green jobs. SunRun carefully selects high-quality installers in each of the markets it serves. As demand for SunRun's service grows, so do jobs with SunRun's local installation partners. Accel Partners is a leading venture capital and growth equity firm specializing in groundbreaking companies across multiple industries including Internet, clean technology, digital media, software and communications. Accel has backed the market leaders that have sparked significant revolutions in their categories, such as: Facebook, Glam, Admob, Trulia, RealNetworks, UUNet, MetroPCS, BBN, Arrowpoint, Macromedia, XenSource, Walmart.com, Zimbra and many others. "SunRun has emerged as the leading residential solar player by removing the largest obstacles to adoption, expanding affordability to the masses and reducing complexity for the consumer," said Rich Wong, Accel Partners board member and lead investor. "Accel has helped build companies such as Facebook into global leaders, and we see that same potential in SunRun. We're thrilled to be a part of SunRun's bright future." "SunRun's pioneering approach to home solar makes it easy and affordable for many homeowners to make the switch to clean energy," said Steve Vassallo, venture partner at Foundation Capital. "Whether it was with Netflix, which dreamed of changing the way videos are rented, or SunRun, which is enabling solar for the masses, Foundation Capital has been very fortunate to invest in some of the world's most successful, mission-driven entrepreneurs." Three UK-based banks start work today with the European Investment Bank (EIB) on a programme to lend up to £1 billion to onshore wind farms over the next 3 years. The cash, part of the additional £4 billion of EIB lending to support UK energy projects announced in the Budget, will help get building started for onshore wind projects which have been hit by the credit crunch, particularly small and mid-sized wind farms. The banks – RBS, Lloyds and BNP Paribas Fortis – have been teamed up with the EIB by the Department of Energy and Climate Change (DECC) and HM Treasury, following the announcement in April’s Budget Statement that the Government wanted to get more EIB lending to UK renewables. Firms can also apply for DECC cash from today to develop offshore wind technology. There will be up to £10 million in grants, part of the £120 million announced in the renewable energy strategy last week to support offshore wind. This is the second round of cash for development of offshore wind technology. DECC is also confirming today that, subject to agreement on suitable grant offer conditions, it also intends to make an award under the first round of this programme for Vestas Technology UK Ltd’s research and development centre on the Isle of Wight. This proposed award – more than £6 million - would include over £3m of funding from the South East England Development Agency (SEEDA). We expect to make other announcements on awards under this first round of funding shortly. “Earlier this month we laid out a transition plan to a low carbon economy that included a massive expansion of green wind energy. The resources we are announcing back up our plans with clear actions to ensure we deliver. “The European Investment Bank funds will help the building start on consented wind farms that could provide 1 gigawatt of electricity, enough to power more than half a million homes. “The money for the development of offshore wind manufacturing will help us generate green jobs on top of our success as the leading country in the world for the generation of offshore wind. "Alongside these proposals, we are reforming planning laws, finding new ways of working with local communities and are determined to persuade people that we need a significant increase in onshore wind as part of the UK's future energy mix. “That is essential for the generation of renewable energy and for Britain to have an industrial future in the production of onshore wind." “The development of the UK’s wind energy capacity will support the European Union’s and national targets for renewable energy generation. As well as helping to reduce greenhouse gasses it will strengthen the security of energy supplies. This initiative underlines the EIB’s long involvement, as the EU’s financing arm, in the UK’s energy sector and reinforces efforts to reduce the impact of climate change”. Suniva Inc., a manufacturer of high value monocrystalline silicon solar cells, today announced the completion of a $75 million Series C financing round, led by Warburg Pincus, a leading global private equity firm. Also participating in the round were APEX Venture Partners and returning investors New Enterprise Associates (NEA), HIG Ventures and Advanced Equities. Suniva’s high-quality monocrystalline solar cells incorporate multiple proprietary design elements that allow them to achieve best-in-class efficiencies. Additionally, Suniva reduces the time and cost associated with commercializing new solar technology by developing its innovative designs in incremental stages. Suniva currently manufactures ARTisun™ series solar cells with conversion efficiencies above 18 percent, while being manufactured with low-cost, high-throughput techniques. In October 2008, Suniva completed the installation of its first manufacturing line and began production of its first-generation solar cells, marking one of the fastest production ramp-ups to date in solar manufacturing. Keeping pace, Suniva will complete the installation of its second, 64 MW manufacturing line in its Norcross facility this summer. Warburg Pincus managing directors Chansoo Joung and Dr. Henry Kressel will join Suniva’s board of directors alongside current board members PM Pai, former COO of SunPower; Dr. Kedar Gupta, GT Solar founder and former CEO, and NEA partners Harry Weller, Ravi Viswanathan and Jon Sakoda. Also on the board are Suniva founder and CTO Dr. Ajeet Rohatgi, recent recipient of the 2009 EPA Climate Protection Award, and Suniva CEO, John Baumstark. EDF Energies Nouvelles (EDF EN) and First Solar, Inc. (Nasdaq: FSLR) today announced a venture to build France's largest solar panel manufacturing plant. With an initial annual capacity of more than 100MWp, the plant will produce solar panels made with First Solar's advanced, thin-film photovoltaic technology. This new venture will support the recently announced goal of the French government to become a leader in sustainable energy technologies including solar electricity. At full production, projected for the second half of 2011, the plant will employ more than 300 people. Under the terms of the arrangement, First Solar will build and operate the plant in France. The plant represents an expected investment of more than EUR 90 million. The initial annualized capacity of the plant is expected to exceed 100MWp, making it the largest manufacturing facility for solar panels in France. EDF Energies Nouvelles has agreed to finance half of the capital expense and plant start-up costs and will benefit from the plant's entire output for the first 10 years. First Solar and EDF EN intend to announce their decision on the site location within the next few months. The investment decision was announced in the presence of French Sustainable Development Minister Jean-Louis Borloo. "I salute the decision of EDF Energies Nouvelles and First Solar to invest and create jobs in France's solar sector, which has begun to take off since the Grenelle de l'Environnement," he said. "This investment represents a veritable turning point for the photovoltaic industry and confirms that France is more than ever in a position to play a leading role globally." Pâris Mouratoglou, Chairman of the Board of EDF Energies Nouvelles, said, "This agreement represents a key milestone in the strategy of our group, which has the ambition to be a global leader in solar energy." The company successfully raised EUR 500 million last year to finance its expansion in the photovoltaic sector. It has set itself a target of installing 500MWp in photovoltaic capacity for its own account by 2012. "Securing a competitive supply is essential for us to participate in the development of a large French solar market," he said. "We have successfully built a number of projects with First Solar panels. This strategic agreement is the result of a relationship built on trust and offers our two groups solid and promising potential," he said. Mike Ahearn, Chairman and Chief Executive Officer of First Solar, said, "The decision to invest in France reflects our firm belief in the French market and its great potential. It represents a vote of confidence in the policies being developed by the French government since the Grenelle de l'Environnement to promote renewable energies and allow solar electricity to compete economically with other forms of energy." "This decision by First Solar and EDF EN is a sign of our shared commitment to the future of solar electricity," Mr. Ahearn said. "We commend President Nicolas Sarkozy's leadership in promoting long-term policies to build a more sustainable energy future not just for France but the world. Countries that create market frameworks that enable solar and other renewable energies to achieve commercial scale will reap the greatest benefits in private sector investment, technological innovation and job creation." The long-term commitments of the French Government to provide the policy and regulatory frameworks that enable robust solar markets and of EDF EN to invest in developing and expanding the French market were key factors in our decision to invest in France, he said. First Solar's manufacturing site will also include a facility for recycling solar panels, France's first such facility and Europe's only solar panel recycling plant outside of Germany. Schneider Electric and Alstom are considering making a joint offer to acquire Areva Transmission and Distribution (T&D), recently put up for sale by its parent company. In order to achieve this, Alstom and Schneider Electric would create a common structure which would bid for Areva T&D and, if this offer is accepted, would ultimately transfer the transmission activities to Alstom and the distribution activities to Schneider Electric. Such a transfer of activities would have no social consequences. This offer will optimise the strategic, industrial and commercial strengths that both Alstom and Schneider can bring to each of the two areas of T&D and maximise the value of the business. This offer would consequently be more attractive for the vendor. The high voltage Transmission (T) part of Areva T&D is very close to Alstom’s own activities in power generation. Alstom will bring to Areva T&D its expertise and knowledge in power networks and automated systems, its know-how in the management of large projects and the full benefit of Alstom’s worldwide commercial network which is particularly focused on power generation utilities, the primary market for high voltage activities. This consolidation around two major worldwide industrial groups, specialised in their own fields, would represent a considerable development opportunity for Areva T&D’s employees. Suntech Power Holdings Co., Ltd., the world's largest crystalline silicon photovoltaic (PV) module manufacturer, announced today that Suntech has recently entered into a strategic agreement with China Huadian New Energy Development Co., Ltd. (HNE) to develop a total of 500MW of utility-scale and commercial roof-top solar projects in China's sun rich western provinces, Jiangsu province and Shanghai over the next three years. Under the agreement, HNE will be responsible for the project investment and development of solar projects and Suntech will be responsible for supplying crystalline silicon solar modules, system design and technical support. Separate project-specific agreements will be signed prior to the implementation of solar projects related to this agreement. "We are pleased to build this relationship with Suntech to develop solar energy projects in China," said Mr. Zheng Fang, General Manager of HNE. "These solar systems will provide clean and renewable energy to countless Chinese households and businesses, particularly those in western regions, and facilitate sustainable development. We believe that solar energy will become an increasingly important means of satisfying China's growing demand for electricity." Dr. Zhengrong Shi, Suntech's Chairman and CEO said, "China Huadian New Energy Development Company already has an impressive portfolio of renewable energy power plants and we are excited to collaborate with them to expand the adoption of solar energy in China. We are confident that solar energy will play a significant role to help China achieve its renewable energy goals and mitigate the effects of climate change." Projects developed through this collaboration may include solar projects previously announced by Suntech including those in Qinghai province; Shaanxi province; Shizuishan city, Ningxia province; Panzhihua city, Sichuan province; and Jiangsu province. All projects are subject to feasibility studies and government approvals. iControl Networks, a leader in broadband home management, today announced the completion of a $23 million Series C investment, bringing its total venture and strategic capital funding to more than $45 million. This latest funding includes new investments from Tyco International’s ADT Security Services, Cisco, Comcast Interactive Capital and GE Security, together with continued investment by Charles River Ventures, Intel Capital and the Kleiner Perkins Caufield & Byers (KPCB) iFund. iControl’s broadband home management solution allows homeowners to see and control their homes—including security and energy systems—via the Internet, iPhone and other mobile devices. Funding from these visionary companies shows their confidence in iControl to create and lead a new technology category – connecting consumers to their homes, families and properties. John Doerr, partner at KPCB, said, "iControl is extending home security and energy management to the broadband Internet and iPhones so consumers can see, protect and manage their homes anytime, anywhere. Millions of consumers will have safer homes and be smarter energy users thanks to the shared vision of these industry leaders and their support of iControl." Added Bruce Sachs, partner at Charles River Ventures, "A revolution in broadband home management is just beginning. iControl puts homeowners "in control" of their own security, energy and home health services. Each corporate investor – ADT, Cisco, Comcast, GE and Intel –leads its industry and will accelerate broadband home management through their investment in iControl." iControl’s technology allows broadband operators, security providers and utilities to revolutionize their products and services by delivering broadband home security, energy management, remote monitoring and home health care to consumers. Paul Dawes, CEO of iControl, said, "This incredible team of world class companies is exactly the group of investors we wanted. Together we will accelerate the development and rapid deployment of iControl’s technology." eMeter Corporation, the global leader in Smart Grid management software, today announced the close of a $32 million private financing led by Sequoia Capital and joined by existing investor, Foundation Capital. The funds will be used to accelerate eMeter’s sales and marketing in new markets, enhance services to current customers and continue investing in new products. With over 24 million smart meters under contract with utilities worldwide, eMeter is an indispensable partner with forward-thinking utilities by providing software that is critical for successful Smart Grid deployments. The recent launch of Energy Engage™, eMeter’s breakthrough consumer engagement solution, enables utilities to empower their consumers to take an active role in managing their energy usage and reduce peak demand. “eMeter has a tremendous future working with utilities to unleash the full benefits of the Smart Grid”, said Jim Goetz General Partner at Sequoia Capital. “We have been looking for the right opportunity to capitalize on the Smart Grid momentum and we found it in eMeter. The management team at eMeter has leveraged their domain expertise in the energy industry to build market-leading technology that will enable utilities to deploy the next generation of smart grid applications”. In conjunction with this round Jim Goetz has joined the eMeter board of directors. “I’m pleased to welcome Sequoia to our board at this time of significant opportunity while the energy industry embraces Smart Grid technology. With this capital, and the support of both Sequoia and Foundation, we are well positioned for expansion as we capitalize on our momentum with utilities worldwide.” said Cree Edwards, CEO and founder of eMeter. The Chinese government started a Golden Sun program on Tuesday to provide subsidies to solar-power projects, to boost the solar industry as a new growth point for the country's economy. The Ministry of Finance said on its Web site that it will offer 50 percent of investments for solar power projects of more than 500 megawatts and the transmission and distribution network over the next two- to- three years. The solar power projects in the remote regions that are not connected to the grid will receive subsidies of 70 percent of the investment. The total generating capacity of such pilot projects in each province should not exceed 20 megawatts, the ministry said. In addition, grid operators will also be required to buy excess electricity at prices on a par with power from coal-fired power plants. Advanced Telemetry, developer of the “EcoViewTM“ smart energy and resource management system for business and residential applications, today announced that it has successfully closed its Series B investment round with funding lead by Quercus Trust and a co-investment from 21Ventures. Both Quercus Trust and 21Ventures were investors in Advanced Telemetry’s Series A round. The funds will be used to increase production and to expand sales channels of EcoView Residential and EcoView Commercial. EcoView Commercial has been installed with franchisees of some of the nations largest quick service and full service restaurants including Taco Bell, Burger King, Arby’s, Jim ‘N Nick’s Bar-B-Q and others and has won substantial acclaim from customers and distributors for its ease of installation, industry leading price point, substantial functionality, and rapid return on investment. Demand for EcoView Commercial has surged along with the number of company’s vying to distribute the technology since, through an escalating number of real world installations, the user-friendly system has proven its ability to reduce utility bills by as much as 25% and deliver a return on investment in a few short months. "We are very excited to welcome Quercus Trust and 21Ventures as investors in this round. They have been strong supporters of Advanced Telemetry since inception and these funds will help us achieve the vast potential of our Company to bring our robust, cost effective energy management solution to small commercial buildings and residences," said Gus Ezcurra, CEO of Advanced Telemetry. "Advanced Telemetry continues to be an industry leader with its unique approach to energy management for the underserved small commercial market and the residential market. We are proud that Advanced Telemetry is one of the few enterprise level solutions that is available now in the marketplace and currently saving its customers substantial dollars by reducing their energy bills, and staying true to its commitment to the environment by reducing its customers’ energy consumption and greenhouse gas emissions," said David Anthony, managing partner for 21Ventures. EcoView Commercial transforms how electricity and other precious resources are conserved both at home and in business, resulting in considerable monetary savings and a smaller carbon footprint. Controlled through a simple-to-install wireless touch panel “dashboard” or web interface and completely independent of a utility company, the system helps business users understand and track how they are consuming resources. Enjoying the luxury of using solar power in your home isn't really an expensive affair. Find out how you can build your very own solar power system and the various materials you need to get the whole process done cheaply and efficiently. Home Power Generation - Solar power creates zero pollution, does not harm the environment, and it is always available. It is one of the most readily available sources of renewable energy on earth, and yet only a small fraction of it is used, mainly due to the expense of installing photovoltaic cells that turn sunlight into energy. Experts have likened installing solar cells to paying for your energy for the next twenty years in advance; a solar setup can cost from $20,000 to $50,000. Although initially, installing solar panels can be quite costly, the long term result is sure to be that of great savings. However, the present advancement in technology have made solar power kits more affordable, putting solar energy within reach of average American families who not only want to join the renewable energy movement but also save money on their energy bills. Solar power kits now can help homeowners to build their own solar system for as little as $200. How can solar power kits help you save money on your energy bills? Try this simple exercise: compute how much energy your home appliances consume and how much it costs you to buy this electricity from your local power utility. Then consider that if you use solar power to operate these appliances, it is virtually free once you get past initial installation costs. You'll be surprised at how much you can save, even if not all of your appliances are powered by solar cells. There truly is no reason for homeowners not to shift to using solar power to meet their electricity needs. And solar power kits could ease this transition by putting the technology within reach of the majority of American families. If you’re tired of your expensive monthly electrical bills, learn how easily solar power can save you a whole lot of money every month. After touring the "America House," a U.S. designed demonstration of cutting edge "zero energy" building technology, U.S. Energy Secretary Steven Chu today announced a new agreement between the U.S. Department of Energy (DOE) and the Chinese Ministry of Urban-Rural Development (MOHURD) to foster collaboration and partnership in the development of improved, more efficient building designs as well as sustainable communities that rely on greater use of renewable energy. "Making buildings more efficient represents one of the greatest, and most immediate opportunities we have to create jobs, save money, save energy and reduce carbon pollution," said Secretary Chu. "Our goal should be buildings that are 80 percent more efficient. Doing so will save families money and create millions of jobs in both countries." Under the agreement, the United States and China will exchange experts and technicians to learn from each other's experiences with efficient building technologies, including: high-performance HVAC, insulation, lighting, cold storage, geothermal heat pumps, building-integrated photovoltaics and solar thermal systems. The United States and China will jointly conduct analyses of lessons learned from international experience with energy-efficient buildings and communities. They will examine options for policy incentives or regulatory reform to encourage energy-efficient development in China. The two nations will also explore the feasibility of a joint project in China to demonstrate green buildings, building energy savings and renewable energy technologies. The U.S. Government will provide support for MOHURD's ''eco-cities'' initiative, which aims to build integrated green cities that are sustainably designed, use renewable power and have efficient and modern transportation systems. The two nations will collaborate on the development of standards and guidelines for eco-cities. In the United States, 75 percent of all electricity generated at power plants is used to operate buildings. China is expected to build the equivalent of the entire U.S. building stock in the next 15 years. Nearly half the new floor space built in the world every year is built in China. Buildings use around 40 percent of energy globally and account for nearly half of greenhouse gas emissions. But at least 30 percent of emissions from the building sector could be eliminated at no net cost by simply upgrading old buildings and using modern equipment in new buildings. With this announcement, the U.S. and China recognize that improving energy efficiency in buildings will benefit both nations, and that by working together they can accelerate the adoption of new clean energy technologies. The memorandum of understanding (MOU) on energy-efficient buildings and communities was signed yesterday on behalf of the United States by David B. Sandalow, Assistant Secretary of Policy and International Affairs at the Department of Energy, and on behalf of China by Qiu Baoxing, Vice Minister of MOHURD. The Federal Energy Regulatory Commission (FERC) today reaffirmed that demand response directly affects rates in organized wholesale electric markets and, therefore, removing barriers to demand response is consistent with FERC’s duty to ensure the sound operation of those markets. The Commission’s statement today came in a rehearing order on its landmark October 2008 rule, Order No. 719, which seeks to improve the competitiveness of organized wholesale electric markets by removing barriers to demand response and by encouraging long-term power contracts, enhancing the role of market monitors and increasing the responsiveness to customers and other stakeholders of the boards of directors of regional transmission organizations (RTO) and independent system operators (ISO) that run the organized markets. FERC stressed in today’s order that it is not challenging the roles of states and others to decide the eligibility of retail customers to provide demand response to wholesale markets. Indeed, with today’s order, FERC signaled flexibility in that area by adopting a plan under which market operators may not accept bids that include aggregated demand response provided by customers of small utilities that distributed up to 4 million megawatt hours during the previous year, unless a small utility’s retail regulator authorizes such aggregation. RTOs and ISOs may continue to accept bids from companies that aggregate demand response provided by customers of larger utilities, unless the relevant retail regulator prohibits those customers from participating in wholesale markets. Organized market regions are those areas in which an RTO or ISO operates a day-ahead and/or real-time energy market. Regions with organized markets are PJM Interconnection, LLC; New York Independent System Operator, Inc.; Midwest Independent Transmission System Operator, Inc.; ISO New England, Inc; California Independent Service Operator Corp.; and Southwest Power Pool. GreenRay Inc., a Massachusetts-based startup, announced that it completed its Series A financing round. The round was led by the Quercus Trust of Newport Beach, California. New York-based 21Ventures co-invested. The $2 million investment enables GreenRay to rapidly move ahead with manufacturing, distribution channel development, and commercial launch. GreenRay’s solar innovation significantly reduces the cost of generating renewable solar energy by simplifying system design and installation. At the heart of GreenRay’s AC Solar Module is a highly reliable patented micro-inverter paired with energy monitoring. "Despite solar’s rapid growth over these last few years, we are still far away from the cost structure needed to make solar a significant percentage of energy generation. We believe that there is a huge opportunity to bring down the costs of solar on the balance of systems side and that GreenRay has found a way to do that," said David Anthony, Managing Partner at 21Ventures. “At 21Ventures, we see this as a disruptive technology that will move the solar industry into the mass do-it-yourself solar market." GreenRay was founded in 2006 by a team of former Schott Solar employees. Since then, GreenRay has received over $3.5 million in government-sponsored funding to demonstrate its AC Module concept, including grants from the Department of Energy and a SEED investment from the Massachusetts Renewable Energy Trust. “The successes of Massachusetts clean technology companies are successes for the Commonwealth as a whole, as Governor Patrick steers the Bay State toward a clean energy future,” Massachusetts Energy and Environmental Affairs Secretary Ian Bowles said. “Today’s announcement reflects the continued growth and vibrancy of the state’s already burgeoning solar technology sector." Yingli Green Energy Holding Company Limited, one of the world's leading vertically integrated photovoltaic ("PV") product manufacturers, today announced the opening of coastal U.S. headquarters in New York City and San Francisco. Yingli Green Energy expects that these two regional headquarters in the U.S. will enhance support for the Company's growing North American customer base and facilitate the formation of new partnerships across the solar value chain in North America. "Given the vast potential and rapid growth of the U.S. solar market, it is imperative for us to have a strong presence on both coasts of the country," commented Mr. Liansheng Miao, Chairman and Chief Executive Officer of Yingli Green Energy. "Our top-notch U.S. team has the technical expertise, business experience and proven track record necessary to drive success for our partners and customers. We are confident that our strong on-the-ground capability will play a crucial role in the development of our North American business in the years to come." In order to strength Yingli Green Energy's business in North America, the Company has set up a wholly-owned subsidiary, Yingli Green Energy Americas, Inc. ("Yingli Americas"), which is led by Robert Petrina, a solar industry veteran with nearly a decade of international business development experience in the PV industry. Previously with General Electric's solar division, Robert has been with Yingli Green Energy for two years. Yingli Americas' operations and customer support team will be led by Brian Grenko, and Mathew Sachs will lead its business development team. Yingli Green Energy's East Coast headquarters will be located in mid-town Manhattan. In addition to providing renewed support for the growing solar industry, the New York office will serve as a direct link to the financial community targeting renewable investments. "Through PlaNYC, our comprehensive sustainability plan, and our Five Borough Economic Opportunity Plan, New York City is taking major steps to promote green manufacturing and green finance," said New York City Mayor Michael Bloomberg. "Yingli Green Energy's East Coast Headquarters will create green jobs, make it easier to invest in innovative technology and help our city become more efficient and sustainable." Yingli Green Energy's West Coast headquarters will be located in San Francisco's financial district and will provide support to customers throughout the procurement, installation and operation stages of solar modules. "We are proud to welcome Yingli Americas to San Francisco. Their choice to locate in San Francisco is yet another affirmation of our ChinaSF initiative strategy," said San Francisco Mayor Gavin Newsom. "San Francisco offers a leading hub of clean technology firms, top-notch talent, concentrated consumer demand for cleantech, proximity to the Pacific Rim and access to the North American market. Chinese firms, like Yingli Green Energy, bring the rising strength of Chinese entrepreneurship, their rapidly growing industry expertise, and the ability to take these innovations to mass scale." The opening of the New York and San Francisco offices is Yingli Green Energy's latest step toward expanding its operations in North America and will help support and promote the Company's expanded U.S. product offerings which now include five families of high quality UL certified PV modules ranging in size from 175 watt to 280 watt. GE announced today that by 2015 it is developing a turn-key product portfolio that will empower consumers to build, to efficiently consume, manage and generate electricity to enable an overall net zero annual energy cost. GE announced today that by 2015 it is developing a turn-key product portfolio that will empower consumers to build – both new home builders and existing homeowners – to efficiently consume, manage and generate electricity to enable an overall net zero annual energy. In addition to GE’s current portfolio of energy-efficient lighting and appliances products and demand response technology that GE is currently developing, GE plans to develop residential power generation products like solar PV and residential wind products, well positioning GE to make the net zero energy home a reality. “We have a long, trusted relationship with consumers, strong presence with home builders, demand response appliance technology and, the extremely critical, smart grid technology leadership of GE Energy that makes the GE net zero energy home an exciting prospect for our future growth,” said GE Consumer & Industrial President and CEO James Campbell. The GE net zero energy home offerings will be comprised of three major groups within the product portfolio: energy efficient products, energy management products and energy generation/storage products. Energy Efficiency Products: GE’s portfolio of energy- efficient appliance and lighting products will help enable the net zero energy home by reducing energy consumption in the home. In 2008, the number of GE ENERGY STAR® qualified appliance models totaled over 550 models. In fact, 54 percent of the GE appliance products are ENERGY STAR qualified. The number of ENERGY STAR qualified lighting models totaled over 271. The majority, 99.3 percent, of the 2008 GE Compact Fluorescent lamp sales were ENERGY STAR qualified models. The U.S. Department of Energy and the U.S. Environmental Protection Agency have awarded GE Consumer & Industrial the ENERGY STAR® Sustained Excellence award for the fourth straight year. Also, this marks the sixth year that GE has been acknowledged as an ENERGY STAR Partner of the Year. Energy Management/Demand Response Appliances: GE demand response products will enable consumers to manage their costs and energy consumption while helping reduce utility demand peaks, thereby reducing the need for more power generation – depending on utility participation. GE plans to be the first manufacturer to offer a full suite of demand response appliances that will work with utility smart meters to help shed load from the grid, while helping consumers save money during peak demand usage and pricing times. GE appliances and products will work with smart meters to delay or reduce energy use without major interruption to consumer’s lifestyles by giving the consumer control over their energy use. Residential housing consumes 37 percent of the electricity produced in the US. Appliances, Lighting and HVAC represent 82 percent of electricity consumed in the home. A recent Federal Energy Regulatory Commission report has identified that residential demand response programs represent the largest potential reduction in U.S. peak demand. The potential of residential demand reduction programs represents approximately a 7 percent reduction in total US peak demand, or 65 GW over the period 2009-2019. This avoided demand is equivalent to the generation capacity of 108 coal plants (600 MW typical coal plant). As the second single largest energy users in the home, incorporating highly efficient water heaters into the net zero energy homes is critical. GE will offer the its innovative GE Hybrid Electric Heat Pump Water Heater with demand response technology in late 2009. The new GE Hybrid Electric Heat Pump Water Heater is designed to use about 2300 kWh per year, which is less than half of the energy of a 50-gallon tank water heater that uses approximately 4800 kWh per year. The energy savings of approximately 2500 kWh per year represents a savings of about $250 per year based on 10.65 cents per kWh. In addition to the highly efficient Hybrid, GE plans to develop additional innovative water heating options for the Net Zero Energy Home. Example: There are about 60 Million U.S. homes with electric tank hot water heaters, if 10 percent installed a GE Hybrid Heat Pump Water Heater, this would save 15 Billion kWh annually of energy. In addition, the demand response capabilities of the GE Hybrid during peak demand time could reduce the energy consumption associated with the 6 Million units by as much as 22.8 Gigawatts or the equivalent of reducing the generating capacity of 40 coal plants during peak demand time. In 2010 GE will introduce the Home Energy Manager – the central nervous system for the net zero energy home that will work in conjunction with all the other enabling technologies in the home to help homeowners to optimize how they consume energy. In addition to the Home Energy Manger, GE will introduce a line of smart thermostats, also available in 2010. Together, the Home Energy Manager and smart thermostats will inform consumers when and how they are using energy and empower them to make decisions when they should use energy from the grid, use stored energy, and self generated energy or other sources since up to 31 percent of the homes energy use comes from HVAC, the smart thermostats can help consumers significantly save on their energy bills. Example: Based on data from the Olympic Peninsula, Gridwise Test Bed demonstration project,consumer awareness created by Time of use pricing (TOU) & Real Time pricing (RTP) has shown significant consumer savings. Consumers under a TOU/RTP billing plan supported by enabling technologies, such as pricing communication, a home energy display, smart thermostats, and smart demand response appliances saved as much as 27-30 percent of their monthly bill. Collaborating with GE Energy, products like solar PV, advanced energy storage, next generation thin film solar, small wind - and, in the coming years, incorporate other generation products being developed at Global Research Center will play an integral part in the Net Zero Energy Home. Vestas has received two new orders from a large Chinese Independent Power Producer (IPP), totalling 75 MW. The first order consists of seven units of the V90-1.8 MW wind turbine and six units of the V90-2.0 MW wind turbine for a project in the Shandong province. The second order is for 25 units of the V80-2.0 MW wind turbine for a project in the Guangdong province. At the customer’s request, details about the projects’ ownership cannot be disclosed. The contracts include delivery, installation and commissioning of the wind turbines, a VestasOnline® Business SCADA solution and a two-year service and maintenance agreement. Vestas has a long history with both provinces and will remain committed to their development and growth. In 1986, Vestas installed China’s first wind turbines in the Shandong province. SolFocus, the leading developer of Concentrator Photovoltaic (CPV) systems, today announced that it has closed its Series C Funding round having raised $77.6 million. The company is completing its transition from pilot production to full scale commercialization, with the expansion of manufacturing from 0.5MW in 2008 to over 10MW to be shipped this year, with capacity for over 50MW going into 2011. The funds raised in this C Round will be used to support the rapid manufacturing ramp in the company's transition to volume production. SolFocus announced a first close on the C Round in January of this year, at which time it had raised $47 million. Since that first close the company has raised an additional $30.6 million, bringing the total round to $77.6 million. "Closing a round of investment with more than $77 million is no small feat in this challenging fund-raising environment, and a good indication of market expectations for SolFocus in 2009 – the year of CPV commercialization," said Mark Crowley, Chief Executive Officer and President. "The investment will allow SolFocus to align its operations, engineering, and project management with the demands of global manufacturing and deployment." The C Round was led by Apex Venture Partners, a Chicago-based venture firm focused on investments in companies with high potential for value creation in a variety of sectors including technology, software, IT infrastructure and telecommunications. "The strength of a firm like Apex Venture Partners as the round lead was instrumental in our ability to exceed our fund-raising target," commented SolFocus VP of Finance Bob Raybuck. "The strong product and market position of the company was also confirmed by the combination of existing and new investors joining the round." Follow-on participants in the round included New Enterprise Associates (NEA) who led the A and B Rounds for the company, NGEN and Yellowstone Ventures. New investors in the round include Demeter Partners, affiliates of Advanced Equities, and others. Advanced Equities, Inc. served as the financial advisor to SolFocus on the financing. "SolFocus has the right mix of innovation and execution to deliver on its promise of low-cost solar energy in high-sun regions around the world," commented Wayne Boulais of Apex Venture Partners. "The challenge for new technology in today's tight capital markets is intense, but we believe that SolFocus has demonstrated its ability to move forward on a deliberate path that will allow the company to meet these challenges and excel." Mr. Boulais is a General Partner at Apex Venture Partners, and has been elected to the SolFocus Board of Directors. The SolFocus CPV design employs a system of reflective optics to concentrate sunlight 650 times onto small, highly efficient solar cells. The SolFocus 1100S uses approximately 1/1,000th of the active, expensive solar cell material compared to traditional photovoltaic panels. In addition, the cells used in SolFocus CPV systems have over twice the efficiency of traditional silicon cells. In solar-rich locations, such efficiency can accelerate the trajectory for solar energy to reach cost parity with fossil fuels. The funding builds upon a series of commercial milestones for SolFocus: the release of the SolFocus 1100S system in November; the largest CPV installation in Europe currently underway in Greece; the first certification of a CPV system to IEC 62108 standards, and the 15X capacity expansion of the company's manufacturing facility in Mesa, Arizona. Carbonetworks, the leading provider of technology solutions for carbon management, has announced the launch of new applications within its software platform to help UK businesses facing the Carbon Reduction Commitment (CRC), the UK’s first legally binding climate and energy saving scheme, which will be enforced from April 2010. The CRC will affect around 20,000 businesses in the UK, introducing strict emission reporting requirements and mandatory carbon and energy reduction regulations. Carbonetworks’ software solves the business challenges involved in meeting the CRC’s new emission reporting requirements and unlike spreadsheet-based carbon footprint calculation tools, provides robust business controls, fully audited reports of carbon and energy usage, and modeling and scenario planning capabilities to help businesses identify reduction opportunities and implement the necessary projects to meet mandatory caps. The Department of Energy and Climate Change will reward companies for exceeding their goals with financial and reputational incentives, or issue stiff penalties including monetary fines for underperformance. Schneider Electric unveiled the prototype of the world’s first ZigBee-compatible self-powered switch at the ZigBee European Forum in Munich, Germany, on June 29. - green, as there are no batteries to recycle. The switch illustrates two aspects that Schneider Electric feels are indispensable in the design of more energy efficient solutions for residential and commercial buildings: true interoperability of networked equipment and the confidence and foundation for upgradeability provided by a shared technological standard. A key leader of the ZigBee Alliance, Schneider Electric took a stand very early on to promote this wireless technology as a standard that would allow different radio frequency applications to communicate and enhance everyday life. Simple, open technological standards are the best way to foster the emergence of new, more effective applications. As the world’s energy management specialist, Schneider Electric is actively committed to developing these kinds of standards in energy and automation, as well as in communication and IT. For this reason, the Group is involved in numerous local and international standards organizations, including the IEC, ISO and ODVA. The prototype presented in Munich grew out of Schneider Electric’s involvement in the HOMES program (http://www.homesprogramme.com/), a European project comprising 13 manufacturers and researchers that is designed to create solutions for achieving optimal energy performance in all buildings. Emulation and knowledge sharing within this ecosystem considerably speeded the development of the ZigBee-compatible self-powered switch. In working to meet the major challenge of energy efficiency, Schneider Electric’s R&D teams are guided by a shared commitment to reducing energy consumption, optimizing connectivity and offering simple solutions. By delivering the necessary breakthrough technologies expected by its core markets while making customer satisfaction the key focus of innovation, Schneider Electric is helping to bring forward the energy solutions of tomorrow. Home wind turbine has become a widely popular energy saving system around the world today, Find out how you can turn wind as energy when you build your own wind turbine today! The characteristic of a home wind turbine is specially designed to be environmentally friendly and costs saving. With the existence of harmful greenhouse gases in our environment today, it is recommended to have one of these great systems to reduce the amount of pollutants being produced into the environment. Looking into more benefits of a home wind turbine, its features also include generating free supply of electricity from natural wind energy, as such; you can save over 80% of your electrical bills every month. In other words, if you are interested in saving money, one of the most effective ways to save money is by switching to alternative sources of creating electricity with a home wind turbine. 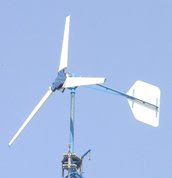 A home wind turbine requires wind at a constant rate to operate efficiently. Check the yearly average amount of wind flow in your area. If you are staying in the U.S, you can acquire the windflow data from the American Wind Energy Association website at awea.org. Research for tall obstructions around the surrounding of your house. This is important as they may hinder the wind flow towards your house. Besides man-made objects, look out for huge trees that get in the way of the wind flow to your house. Remember, your home wind turbine needs as much wind flow in order for it to perform well. Check with your local CC&Rs and local zoning if it is alright to have a home wind turbine installed beside or behind your house. Base on the huge amount of searches on the internet, an increasing amount of homeowners are interested to use home wind turbines to power their homes today. This real and practical approach to save costs and protect the environment has grown enormously popular, cheap and practical. A home wind turbine is very affordable, especially when you do-it-yourself. The estimated cost to build your very own home wind turbine is around a hundred dollars. There are many installation guides available for building your own DIY home wind turbines on the internet. You may want to check out the guides available at http://www.greenearth4energy.com. There, you can find top guides on how to build a solar panel, a home wind turbine and a solar water heater altogether. According to a new research report from the analyst firm Berg Insight, the installed base of smart electricity meters in Europe will grow at a compound annual growth rate of 16.2 percent between 2008 and 2014 to reach 96.3 million at the end of the period. The strong uptake of intelligent metering puts within reach the EU-wide target that 80 percent of the households should have smart meters by 2020. Providing consumers with detailed information about their electricity consumption, the new generation of meters give customers control over energy costs and create financial incentives for energy savings. The adoption of smart meters started in Italy and has continued in the Nordic countries where Sweden decided to make smart meters mandatory from July 2009, starting a trend for the rest of Europe. "Today, Sweden has become the first country in the world to achieve 100 percent penetration for smart meters", said Tobias Ryberg, Senior Analyst, Berg Insight. "In the next years Italy, Ireland, Norway and Finland will follow and by the end of the next decade many more countries including France, Spain and the UK will also have smart meters." He adds that some countries are moving slower due to resistance from certain stakeholders. The Netherlands has postponed the rollout of smart meters following a heated debate over the potential risk that remote monitoring of energy consumption would lead to privacy violations and in Germany the government is reluctant to impose what could be perceived as a surveillance technology. "The privacy threat from smart meters is grossly exaggerated", said Ryberg. "They are opposed because they represent a new technology for collecting information in a time when large groups of people are afraid of the consequences of living in an information based society. Indeed the energy industry has a major responsibility in protecting the privacy of its customers, but first and foremost it must work to create a sustainable energy system in which smart meters are an essential component." The Cleantech Group™, founders of the cleantech sector and providers of leading global market research, events and advisory services for the cleantech ecosystem, along with Deloitte, which provides audit, tax, consulting and financial advisory services to cleantech companies, today released preliminary 2Q09 results for clean technology venture investments in North America, Europe, China and India, totaling $1.2 billion across 94 companies. Cleantech venture investment rebounded in the second quarter, after having declined significantly in 4Q08 and 1Q09, paralleling declines in other investment sectors amid the global economic downturn. The 2Q09 total is up 12 percent from the previous quarter, although down 44 percent from the same period a year ago. The average round size in 2Q09 was $12.9 million, up from $12.3 million 1Q09. Deals included San Diego startup V-Vehicle’s raise of $100 million to date from Kleiner Perkins Caufield & Byers and T. Boone Pickens to build a fuel-efficient car in Louisiana, EV manufacturer Fisker Automotive, which raised $85 million from Eco-Drive Partners and Kleiner Perkins to fund development and manufacturing of its Karma plug-in hybrid, Norwegian EV startup Think Global which raised $39 million, and Israel’s ETV Motors which raised $12 million from Quercus Trust to develop an electric powertrain. Deals included agri.capital, a European developer of biogas plants, which raised $82 million from TCW Group and others and renewable oil producer Solazyme, which raised $57 million from Braemar Energy Ventures, Lightspeed Venture Partners and new investor VantagePoint Venture Partners. Deals included lithium-ion startup A123, which raised a $100 million round led by GE and others, and Deeya Energy, which raised $30 million from Technology Partners and others to develop its redox flow batteries. Deals included Indian solar developer Cobol Technologies, which raised $30 million from Pangea Capital, as well as CSP technology provider Ausra, which raised $25.5 million from Khosla Ventures and Kleiner Perkins, among others. Another CSP company, Stirling-engine dish vendor Infinia, raised $14.1 million in convertible debt, as part of a $50 million planned raise. Clean technology M&A totaled an estimated 138 transactions in 2Q09, of which totals were disclosed for 40 transactions totaling $12.2 billion. This is up 291 percent from 1Q09, which saw 123 M&A transactions, of which 28 were disclosed for a total of $3.1 billion. Cleantech Group noted two cleantech IPOs in 2Q09: China Metal Recycling began trading on the Hong Kong Futures Exchange, raising $186 million, and Duoyuan Global Water Inc. listed on the NYSE raising $88 million. Another notable transaction was Broadwind Energy’s transfer of shares from OTC-BB to the NASDAQ on April 9th. North America accounted for 66 percent of the total, while Europe and Israel accounted for 21 percent, India for11 percent, and China for one percent. * EUROPE: European and Israeli companies raised USD $259 million in 30 disclosed rounds, down 13 percent from 1Q09 and down 17 percent from 2Q08. Energy Generation ($130.5 million, 11 deals) companies received the most investment, followed by Transportation ($51.0 million, 2 deals). The largest deal was German biogas plant developer agri.capital which raised $81.7 million and helped Germany ($95.4 million, two deals) gain the top position in the country rankings in Europe. The UK was second ($55.4 million, 13 deals), and Norway ($39.0 million, one deal) was third, thanks to Think Global's $39 million round, the second largest deal of the quarter. * CHINA: There were six cleantech VC deals totaling USD $18 million in China. Advanced battery technologies raised USD $10 million to develop lithium-ion batteries. Hunan Joyfly New Material attracted USD $4.3 million to develop environmental friendly materials. * INDIA: Indian cleantech companies raised USD $131 million in seven investment rounds (of which one deal amount was not disclosed), an increase of 167 percent from the previous quarter and up 161 percent from the same period last year. The largest deal was a USD $42 million round for Hyderabad-based Ramky Enviro Engineers which specializes in recycling and waste. The most active investor was IL&FS (Infrastructure Leasing and Financial Services Limited) which invested in two deals. Other investors in the quarter included Blue Run Ventures, DFJ, Mumbai Angels, New Enterprise Associates (NEA) and Axis Private Equity. Public Service Electric and Gas Company (PSE&G) today received approval to invest an additional $190 million to bring energy efficiency measures to residential customers, multi-family affordable housing units, municipal buildings and businesses such as cash-strapped hospitals. Approved by the New Jersey Board of Public Utilities, the Energy Efficiency Economic Stimulus Program is expected to also boost the economy by creating an estimated 688 "green" utility and contractor jobs during the next two years. This latest energy efficiency initiative expands a $46 million carbon abatement program, approved in November 2008, that has been offering energy audits, programmable thermostats, attic insulation and high-efficiency lighting upgrades to residents and businesses. In addition to bringing these conservation benefits to more customers, this newest program increases the amount of dollars available to help hospitals in PSE&G's service territory take advantage of investment-grade audits and steps to reduce their energy use and expenses. Twenty-eight hospitals have already indicated interest in the program. About a dozen hospitals - including University Hospital in Newark, Robert Wood Johnson University Hospital in New Brunswick, St. Joseph's Regional Medical Center in Paterson and Princeton Healthcare in Princeton -- are in the process of undergoing investment-grade audits. Another eight will be scheduled as soon as the additional funding becomes available. About 290 of the estimated 688 jobs are expected to be created by the hospital work. "This program is the latest step PSE&G has taken to boost energy efficiency, reduce greenhouse gases and create new green jobs," said Ralph LaRossa, president and COO of PSE&G. "Customers who are struggling in this tough economy are already saving money by using less energy. And just as we are doing with our accelerated capital infrastructure investments, this stimulus initiative will bring new jobs to the state when they are needed most." During the next year, PSE&G and its contractors pledge to hire at least 100 graduates of the state's Green Job Training Program, which is overseen by the NJ Department of Labor and Workforce Development. The Energy Efficiency Economic Stimulus Program was filed under New Jersey's Regional Greenhouse Gas Initiative (RGGI) legislation, which encourages utilities to invest in conservation and energy efficiency programs as part of its regulated business. The plan approved today was the result of an agreement PSE&G reached with BPU staff, Department of the Public Advocate and the New Jersey Housing and Mortgage Finance Agency. The new expanded energy efficiency initiative offers programs for various targeted customer segments. Sub-programs for residential homes and small businesses in Urban Enterprise Zone municipalities, multi-family buildings, hospitals, data centers and governmental entities provides audits at no cost to identify energy efficiency measures. Customers could be eligible for incentives toward the installation of the energy efficiency measures. Other components of the stimulus include a program that provides funding for new technologies and demonstration projects, and a program to encourage non-residential customers to reduce energy use through improvements in the operation and maintenance of facilities. The Board's decision will allow recovery of the investment through an energy-based charge. The average residential electric customer, who uses 6,960 kilowatthours annually, will pay $2.60 per year. The average residential gas heating customer, using 1,210 therms of natural gas annually, will pay $3.10 per year.